No one ever knowwhat a tough job being a mom is until they become one. Courier, tutor, personal assistant, therapist…the list goes on. Raising a well-balanced child is one of the biggest challenges as a parent. You want your kids to feel supported, but not spoiled. Safe, but not smothered. Sometimes it can feel like a see-saw of moral conflicts. A big way to help your baby birds have a successful flight from the nest is to make sure they learn accountability. And accountability can be best learned through joining an extracurricular activity. Not only are sports and after school programs powerful tools to teach accountability and confidence, but they’re great ways for your kids to explore their passions in a supportive environment. Who doesn’t love to see their child’s face light up when they try out a new skill? Therein lies your conflict. Do you push your child to see things through, or do you respect their wishes and allow them to move on? Say good-bye to the fear of hearing “I quit” with the top 3 reasons kids quit and when it’s okay to let them. What Makes Kids Want to Quit? If your kids want to quit an activity, don’t be quick to assume they’re being lazy or distracted. More often than not, kids want to quit activities because of anxiety. As parents, we often complain so much about our daily stressors that we forget our kids’ lives aren’t all cupcakes and hopscotch. A study by the National Institute of Mental Health found that over 30% of kids from ages 13-18 suffer from an anxiety disorder, compared to a 19% rate for adults between 18 and 60. You expect your kids to always do their best. This is encouraging, unless it crosses the line of expecting them to always be the best. Whether it’s pressure from you, a coach, peers or teachers, too much pressure can cause a lack of confidence, sleeping problems, higher risk of injury, and you guessed it — quitting. Respect and encouragement are the #1 traits kids seek in their coaches. As such, kids also seek these traits from their other leaders and peers — including their parents. Being scolded for bad passes, called names by teammates and anything else that violates the golden rule is bound to make your kid feel disrespected. 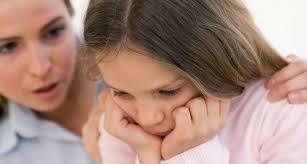 Being discouraged is a fast-track to low self-esteem for your child, and low self-esteem is a fast-track to quitting. It’s easy for adults to live vicariously through their children. Oftentimes, this comes from good intentions — we want our kids to experience the things we didn’t get to. But sometimes adults can take it too far, and turn activities into a draining experience for their kids. One of the biggest thrills for your child to try out a new hobby is that it’s theirs to explore all on their own. If they’re only participating in an activity to please others in their lives, the fire burns out. Although anxiety is a big reason that drives kids to quit, it isn’t the only one. From perseverance to accountability to building new skills and relationships, there are many reasons why you may want your kid to continue an activity. By quitting, what will I miss? By quitting, what do I hope to get? By quitting, what do I give up? By quitting, what might I later regret? Did they give it a good shot? If your child started out committed and enthused and over time the passion died, it may be time to let them move on to a new activity that’s better suited to their current interests. Apolldone by the National Alliance for Youth Sports found that 70% of kids stop playing sports by 13 because they simply don’t enjoy it anymore. Do they have any downtime? While a good regiment can help a child learn to follow through with commitments, it’s still incredibly important to have time to relax and let their minds wander. Free time allows them to process their thoughts, develop imagination, and destress. If your kid is in “go” mode from morning to bedtime, and they’re asking to quit a certain activity, it may be time to consider it. Listen to your child and be open to their needs and expressions. Your child shouldn’t quit just because they lose a game, have a tough day with a teammate or aren’t happy with an art project. But they should have the freedom to roam and explore as their passions and interests grow along with them!